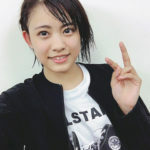 Wota in Translation » Kishimoto Yumeno’s favorite bands: The Beach Boys, The Beatles, AC/DC, The Rolling Stones, and King Crimson. 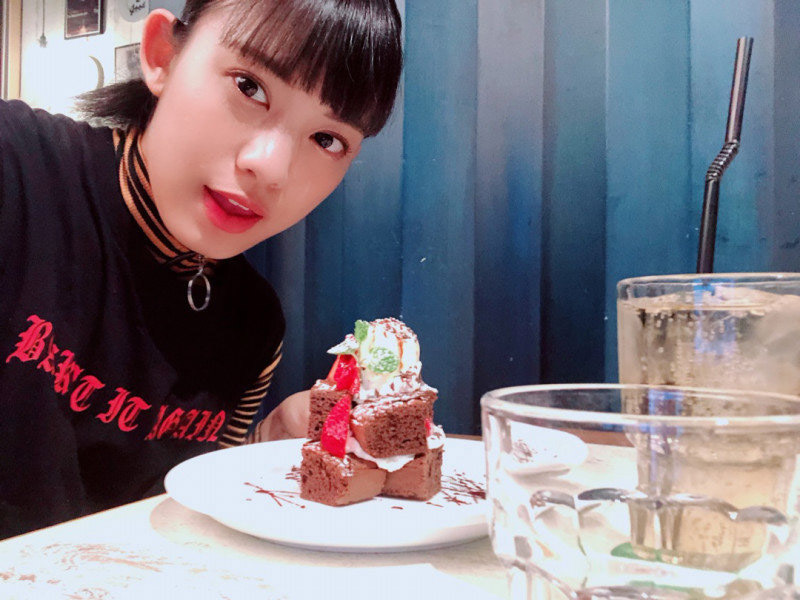 Kishimoto Yumeno’s favorite bands: The Beach Boys, The Beatles, AC/DC, The Rolling Stones, and King Crimson. Thank you for all your recommendations yesterday! If you have any more, please do share them! I’m taking the time to check them all out. It feels like just listening to one song randomly would be pointless though, so I’m doing my best to listen to a full album from each of your recommended artists. I haven’t gotten very far along with this project yet, but so far it has all sounded cool. By the way, one band that I often listen to is The Beach Boys. Other famous bands I sometimes listen to are The Beatles, AC/DC, The Rolling Stones, and King Crimson. I still don’t know very much about rock… and that’s why I feel like I need to learn more! She has pretty refined tastes. Going through your dad’s CD collection, huh? I wonder if she’s going to end up having profound discussions about AC/DC with Rikako? 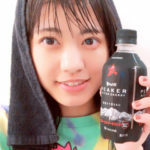 Rikako is more into Led Zeppelin and Iron Maiden. Rikako’s most respected vocalist: David Coverdale. Beach Boys is my favorite band. I think I’m starting to fall for Kishimoto-san. Kishimon seems like the type of person who grunge music would suit nicely. She’s already found all the essentials. I hope she listens to lots of music and becomes a great singer. She must’ve read like an entire “Classic Rock Albums” catalog. She’s definitely the “reads through entire instruction manuals,” Kumai-chan-type. Listening to them now, the Beach Boys really were cool. Someone ought to maybe recommend her some glam rock. If she likes the Beach Boys and the Beatles, I hope she learns to enjoy the strange magic of vocal harmonies. You have to take your hat off to a young girl who says her no. 1 favorite band is the Beach Boys. And remember, the Beach Boys don’t have a lot of female listeners in Japan to begin with. Does she prefer UK rock? Rock isn’t a genre of music — it’s a way of life. Brian Wilson is an absolute genius. I totally get why she would be drawn to the Beach Boys. I bet she listens to these on cassette. I’d think stuff like Prince and Rick James would be more Kishimon’s thing. Judging by her looks though, I have a feeling it’s US rock rather than UK rock that would suit Kishimon better. It’s definitely the right way to go by starting out with all these standard rock bands. These are all super famous bands. Even just some basic research will lead you to discovering all of them right away. Lots of H!P members seem to be curious about rock music, but if anything it’s R&B they should be listening to. Even Tsunku told the members to go listen to some Michael. Tsunku loves the Beatles so much that during H!P’s Golden Era — when they had a lot of money — he went to Abbey Road to record his own Beatles cover album. The Beatles and the Beach Boys… That’s pretty much what my entire iPod is filled with. If she can find her way from the Stones to soul/funk and other Black music, she’ll eventually catch up with Rikoriko. Tsunku’s written a lot of Beach Boys-ish songs, too. Kishimon’s singing can be pretty bluesy. 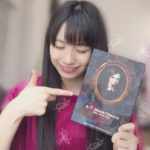 There are several H!P members who enjoy older Western music, but I think the one I can identify with the most is the Kate Bush fan, Oda-chan. Oda Sakura, singing “Wuthering Heights” at the next Sakura no Shirabe. I bet it’d suit her so well. I love Oda’s mom’s taste in music. You’d expect her to be into stuff like Adele or Lorde, but instead she’s a fan of Kate Bush. Of the 80’s stuff, she likes 10,000 Maniacs and Cowboy Junkies. She’s a great woman. If she’s ever curious about Japanese rock, she can just go ask Kiki-chan. It’s so awesome when you’re first just discovering all this stuff at that age. Listening to these “starter” bands will sometimes get you called a newbie or whatever, but the more you listen to all kinds of music the more you realize just how high-quality these bands actually are. Man, you guys sure do love music. British/American hard prog along with all the basic, famous rock bands. She should trust her ears and just see where they take her from here. In any case, she’s not off to a bad start at all. Rikako’s metal, Yamagishi’s hiphop, Makino’s enka… and I think Morito listens to old Western music, too. It’s interesting to see how there’s fans of all kinds of music within H!P. Beach Boys, huh? You know, I used to make fun of them because I only knew them from like “Surfin’ U.S.A.” But then my friend lent me his copy of “Pet Sounds” and I was just astonished. She’s still so young, yet she has her own policies in regards to her fashion and the music she listens to. Seeing as she’s with Up-Front, she should get Nakajima Takui and KAN to teach her all about rock. Know this, Kishimon. Us guys from the era of music you so like? We all ended up listening to H!P. Henkka: “Lionheart” is absolutely the best Kate Bush album. I’ll fight anyone who claims otherwise. ← Are handshake events fun? I can not thank you enough for translating these threads about the real music wotas in the Hello Project community. Why doesn’t the english community have discussions like this? I love a thread about “lolikon idols preying on their kouhai” as much as the next guy, but the music threads are my absolute favorite! I double-ly love it when the idols themselves have informed thoughts about the music they consume… those are almost always my oshis. I just think people with their own opinions about the music they consume are generally more interesting people in my experience. Cheers jigen. The music threads are always a favorite of mine, too. I suppose it’s because by far the biggest reason for me getting into H!P in the first place was the music. It’s just cool to me as a music fan to know how the idols as well as my fellow fans of H!P feel about music. Back in the day there used to be a lot of discussions like this in H!P forums. It was just sort of accepted that serious music fans who got into idol music were mostly fans of H!P. Metal guys *especially* seemed to be drawn to Tsunku projects. 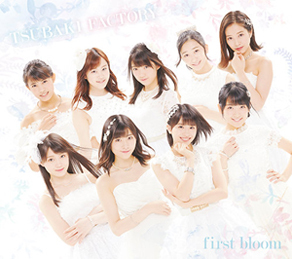 During the Golden Era, there was an active H!P remix community that was far bigger and more diverse than for any other idol group. I really miss those days. 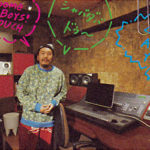 Some great stuff was recorded by a lot of very talented H!P fans. Yeah, metalheads getting into J-pop and H!P in particular always seemed like such a commonplace thing. I would know, being one myself. I kind of wonder if that’s still the case today in this post-Tsunku era of H!P. Not really. You’re a few years after her time, tbh. I was a teenager when she first hit the scene, and I’m 52. My old man listens to those a lot. His vinyl collection is absurdly big. Thanks to it I found some gems like Thin Lizzy and Jethro Tull, good rock. Kishimoto has good attitude, I’m way too lazy to study music deeply but I like listening to all types of music from classic genre to instrumental versions of songs and even video game bgm. 239 sums it up pretty nicely. The HP recording sessions are my favorite HP insider stuff. That guy on the organ was just crazy (and you can barely hear him on the official track, a shame). Oh man, I watch that video probably a dozen times a year, lol! He’s such a monster, and he really kills it on that track. I also wish it wasn’t buried so deep in the mix. “The Dreaming ” is Kate Bush best album . It’s her first album where she had total control about the music , resulting in a unique and very creative collection of songs , all songs on that album are classics . Sorry for fighting you , Henkka..
Hehe. Alright man, fair enough. You can’t really lose with Kate Bush, no matter the album. Could someone (anyone!) who can post to Kishimoto’s blog PLEASE recommend that she checks out Fleet Foxes, Simon and Garfunkel, and “Painkiller” era Judas Priest? I have tried to post there twice but was rejected both times because I can’t write Japanese. Thank you! 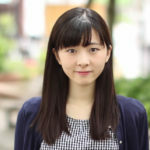 Sorry to omit: if you can post to her blog in JAPANESE. The webmaster doesn’t speak or read English, it seems.